This boy finished his championship with multiple class in group wins with very limited showing. 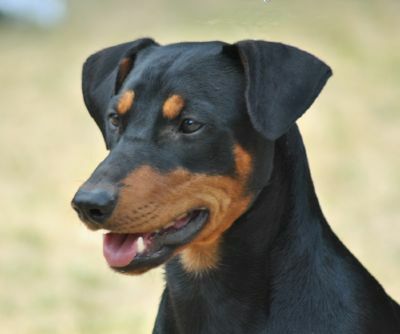 He obtained his Grand Championship title at the breed level only however since that time he has been awarded both Group and runner up in group wins. 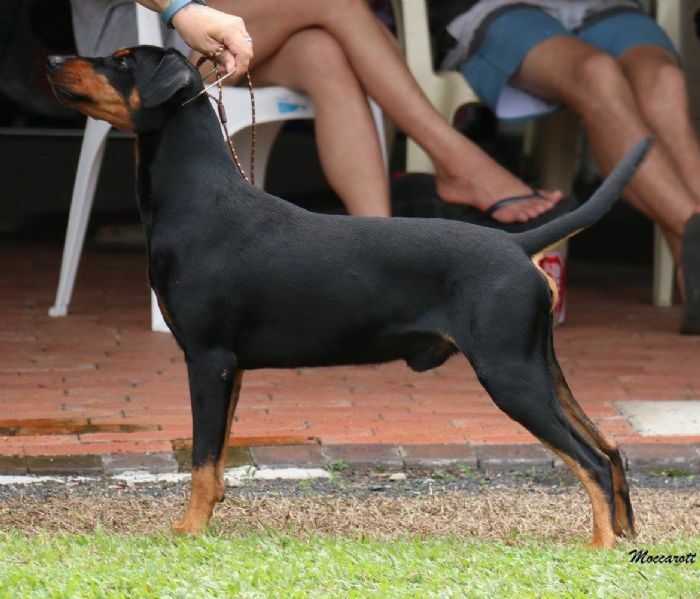 Correct hard coat, lovely angulations and balance, he shows correct temperament and behaviour for the breed. Beautiful dark almond shape eyes, clear markings and correct topline and tail carriage give an idea what this young dog will produce in the future when used correctly in a breeding program where QUALITY matters, not quantity! A great dog to live with, this goofball is dog friendly and easy going but still can hunt when the occasion arises! He is vwd clear by parentage. A proven sire, his champion offspring are impressing judges on three continents!